To ensure successful total knee and hip replacement surgeries, the Center for Joint Replacement has adopted proven practice methods used by several of the nation's top orthopedic hospitals. 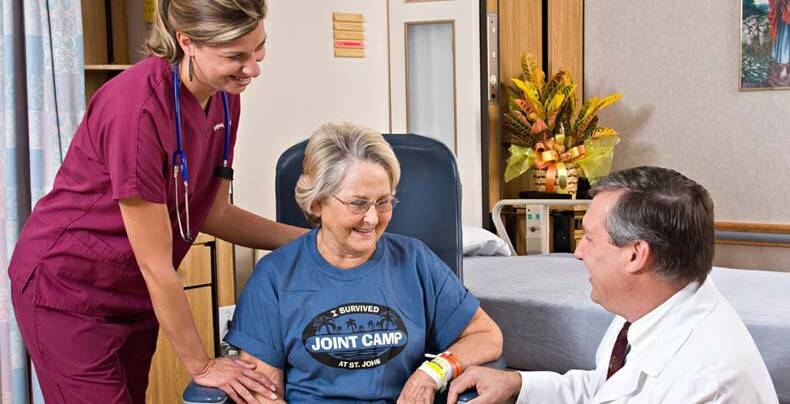 Orthopedic surgeons perform all knee and hip replacement operations at St. John Broken Arrow on Mondays, Tuesdays and Wednesdays, with four operating suites used exclusively for joint replacement surgeries. Most patients go home within two days, and are walking independently using a walker, crutches or a cane. A comprehensive preoperative orientation class to let you know what to expect and answer your questions. Most patients leave the class feeling less nervous about surgery.